Blade of the Immortal follows the deeds of Manji, a skilled samurai who has a decisive advantage: no wound can kill him, except for a rare poison. In the past, his criminal actions led to the death of 100 other samurai (including his sister’s husband). 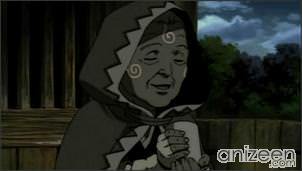 He becomes immortal at the hand of a 800-year-old nun named Yaobikuni, and is compelled by the death of his sister to accept the quest that will end his agelessness. He has vowed to make amends by killing 1,000 evil men, and until he does Manji will be kept alive by kessen-chuu, remarkable creatures that allow him to survive nearly any injury and reattach severed limbs even after hours of separation. They work by sacrificing themselves to seal the wound – they’re worms that were bred to be as close in their chemical and physical make-up to humans as you can get without being human. They cannot handle regrowth on a large scale, but, for example, can reattach a severed limb or seal a hole in the brain. 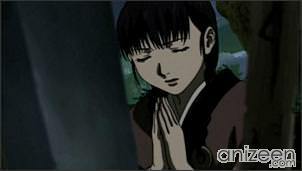 Manji crosses paths with a young girl named Asano Rin and promises to help her avenge her parents, who were killed by a cadre of master swordsmen led by Anotsu Kagehisa. Anotsu killed Rin’s father and his entire doujou, making them a family of outcasts. 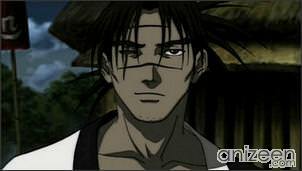 Anotsu’s quest is to gather other outcasts and form an extremely powerful new dojo, the Ittou-ryuu (a school teaching any technique that wins, no matter how exotic or underhanded), and has started taking over and destroying other dojos. In addition, another group calling itself the Mugai-ryuu has emerged, in opposition to the Ittou-ryuu. Its true leadership and motives are initially a mystery, but its methods (any tactics that leads to victory) resemble those of the Ittou-ryuu. They try to enlist Manji’s help as they seem to want the same thing. Eventually Manji joins but quickly pulls out after he finds out a member, Shira, is way too sadistic for his tastes. After a while Manji finally discovers that the Mugai-ryuu work for the government. They are all death row inmates who are allowed to live only if they serve the shogunate. 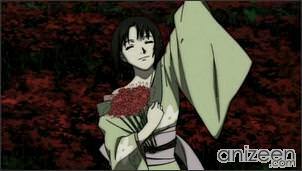 While Manji and Shira quickly grow to hate each other, after Shira runs off, Manji remains on friendly terms with the other members of the group. Manji is the immortal referred to in the title. While not lazy, he is very laid-back, often seen sleeping. Manji also has a strange sense of “honour” that is in many ways similar to the fighting-ethic of the Itto-Ryu. The fallen samurai Manji served the Hatamoto Horii Shigenobu, a local daimyou, enforcing his brutal rule on the local populace until he found out his lord was corrupt and killed him. 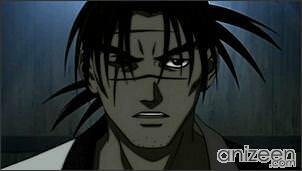 For that he was considered an outlaw and hunted down by the same daimyou clan, achieving the nickname “Killer of 100” after the body count. He planned to flee to his sister’s house even though she had married an officer of the law, Saitou Tatsumasa. 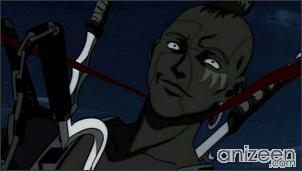 Manji ended up killing his sister’s husband out of self-defense when he attacked Manji. Rin Asano is the sole survivor of an Ittou-ryuu massacre at Anotsu’s hand and heir to her father’s sword school, the “Mutenichi-ryuu”. She has mediocre swordsmanship skills but an intense desire to avenge the brutal death of her family. At the beginning of the series is she portrayed as somebody who is trying to act mature, but is still very childish – as the series progresses she steadily “grows up” and loses much of her naivety. She hires Manji as her bodyguard in this quest. 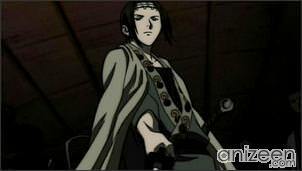 Kagehisa Anotsu is the leader of the Ittou-ryuu and equal of Manji. This emotionally cold young man has prodigious skill with the sword, and leads the Ittou-ryuu in order to form a doujou dedicated not to form and rules, but to the simple test of superior lethality. Taito Magatsu is among the Ittou-ryuu’s finest swordsmen. Of peasant origin, he became a swordsman to avenge his sister, who was killed as a child by a samurai. Taito is one of the few swordsmen who has fought Manji and survived. He has also fought by Manji’s side as well. 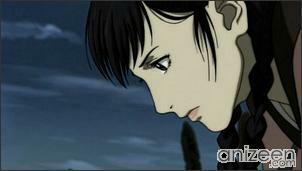 Makie Otono-Tachibana is a master swordswoman and in love with Anotsu. 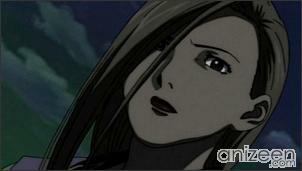 Said to be Anotsu’s match and saved his life with her deadly abilities when they were children. Born into a samurai family, Makie and her mother were disowned and cast away from the family by her father, Harukawa, when Makie’s older brother committed seppuku after Makie was revealed to have inherited the family’s famed talent and he was unable to defeat her in combat. 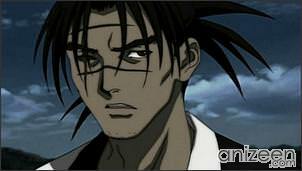 Sosuke Abayama is second-in-command of the Ittou-ryuu. An aged swordsman who nevertheless remains one of the Ittou-ryuu’s most skilled fighters. A skilled political operative, well suited to handling the doujou’s administrative tasks. He is missing his right arm, and uses a concealed dagger/machete-like weapon with a strange hilt. 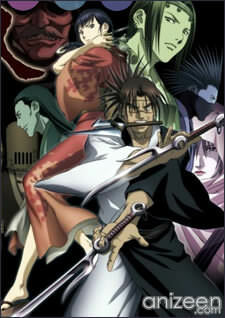 Mugen no Juunin or Blade of the Immortal (無限の住人) is a Japanese manga series by Hiroaki Samura. 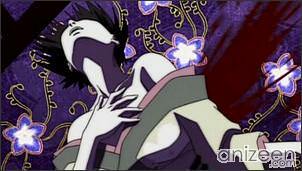 The series won an Excellence Prize at the 1997 Japan Media Arts Festival. The series is set in Japan during the mid-Tokugawa Shogunate period, beginning in the 2nd year of the Tenmei era or 1782. Blade of the Immortal is being released in the United States by Dark Horse Comics and is up to 19 volumes. As of November 2007, Dark Horse has ceased publishing Blade of the Immortal in a monthly format, choosing to concentrate solely on the collected editions. An anime adaptation of the manga will be directed by Kouichi Mashimo and produced by Bee Train premiered on July 13, 2008.